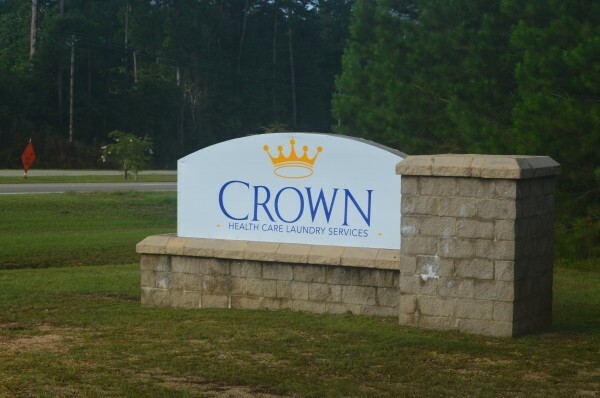 Founded in 1955, Crown Health Care Laundry Services, Inc. is an independent full-service health care laundry processor and linen rental company based out of Pensacola, Florida. 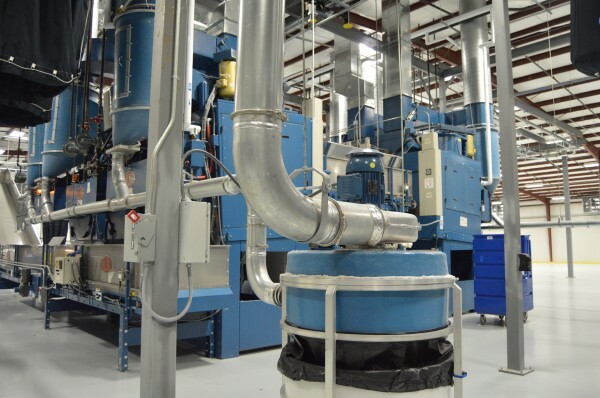 Crown Health care has a long history of utilizing Pellerin Milnor and Chicago Dryer equipment solutions in their facilities. 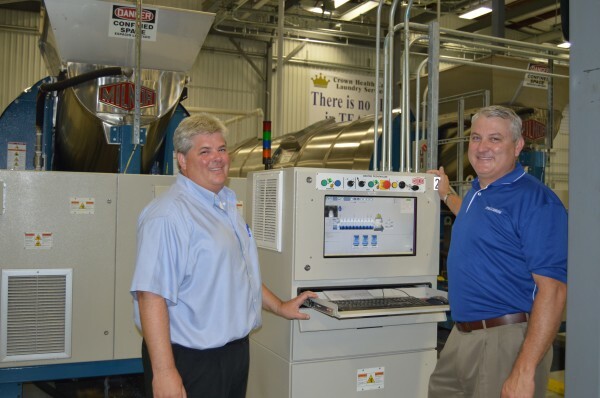 When Crown needed to equip their fourth laundry in Columbia, Mississippi, Pellerin Laundry Machinery Sales Company, Inc. was an obvious choice. Pellerin, the authorized sales and service provider for Pellerin Milnor Corporation, ADC, Energenics, E-Tech, and Chicago Dryer Company, not only equipped the laundry facility, but provided design services, delivery/install coordination, rigging and assembly, as well as start-up and training services. 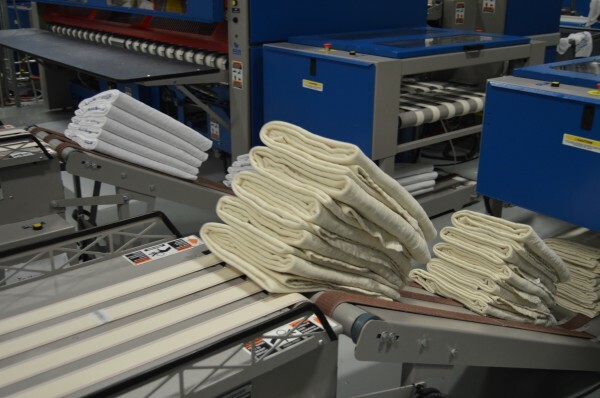 “Our Mission is to provide health care linen and laundry services to customers who demand quality products and cost control through the best possible utilization of linen. 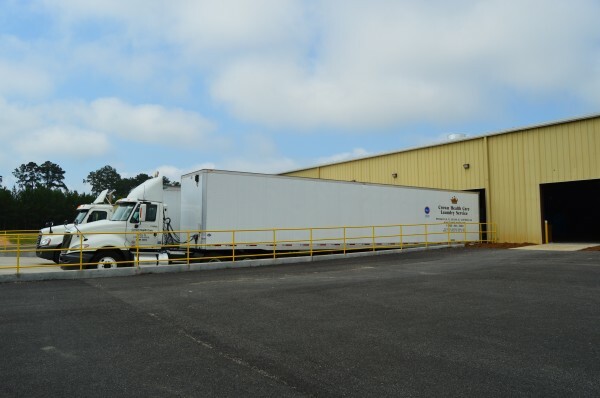 We strive to become more than simply a vendor to our customers – we form a long-lasting partnership created through exceptional support, service and integrity,” says Don Haferkamp. 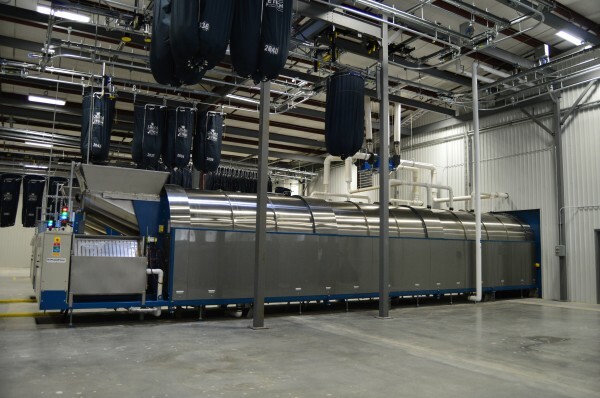 He continued, “We chose to partner once again with the Pellerin Team and their vendors because they understand the importance of customer service and support for all four of our laundry facilities. The recent addition of our 85,000 sq. 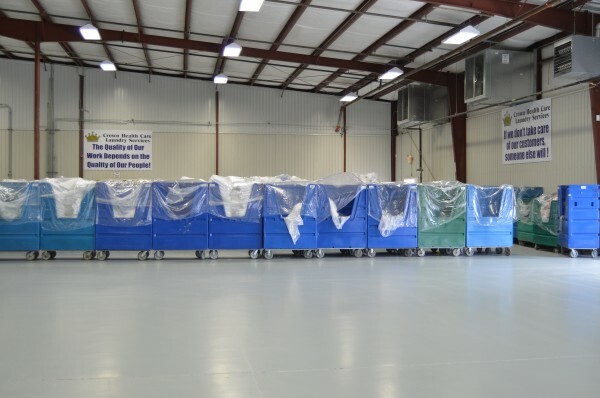 ft. Columbia Facility enables us to service our customers more efficiently”, says Don Haferkamp, CEO of Crown Health Care Laundry Services, Inc. The 85,000 Sq. 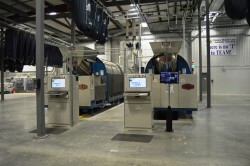 Ft. laundry facility began processing linen in May of 2014. One of the most important design aspects of any laundry is work flow. 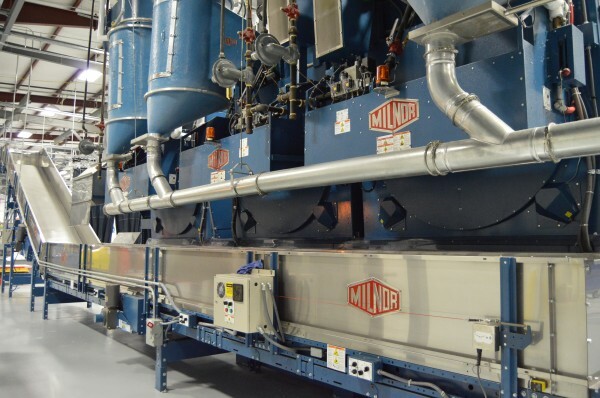 Milnor is able to create a continuous work flow by integrating E-Tech rails to transport all linen to all areas in the process. There are no shuttles in the laundry, eliminating gated areas and cart congestion. 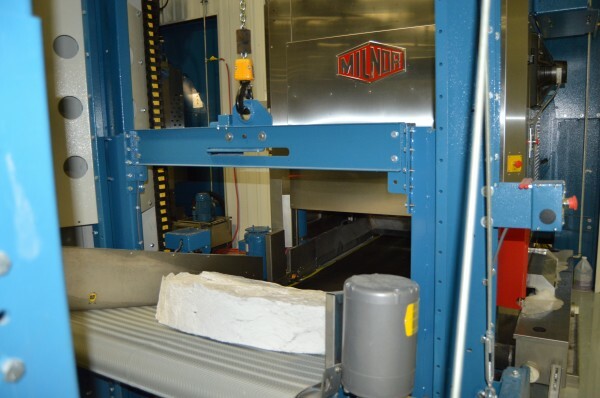 After extraction in the two MP1656 56 bar single stage presses, the E-Tech press-to-dryer rail system automatically carries two washed loads overhead in one bag to the next available storage belt between any of the pairs of Milnor 6464 dryers 91-158 kg (200-350 lb) capacity. 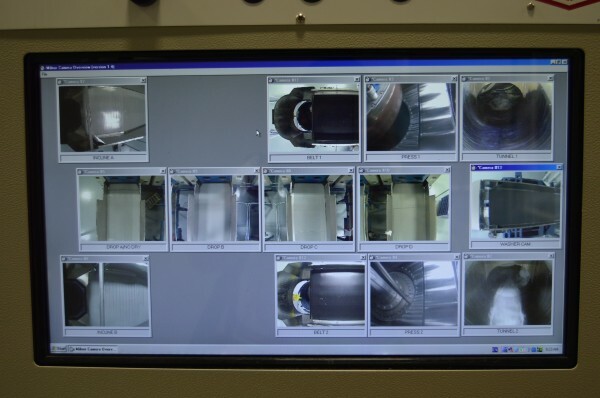 Once a dryer finishes drying a load, the goods unload onto a discharge belt, which takes the load to an awaiting clean side rail system to go to its next destination. As soon as the dryer discharge door closes, the load door opens allowing the waiting goods on the belt to load within seconds. 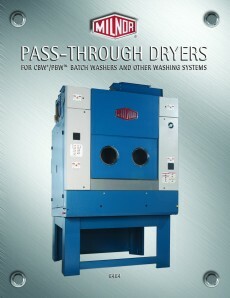 This optimizes dryer use. 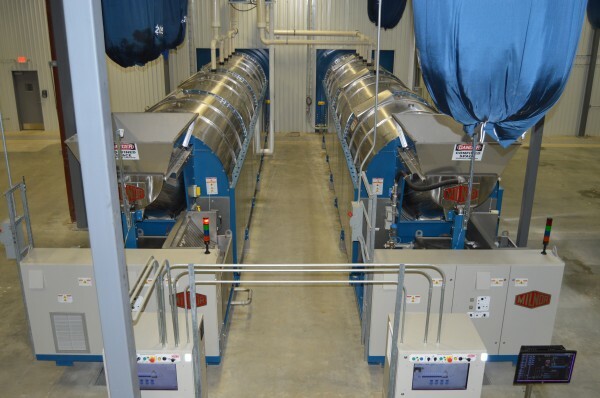 This dryer pod configuration was optimal for the Crown laundry because it allows for minimal delay between the wash aisle and flatwork. 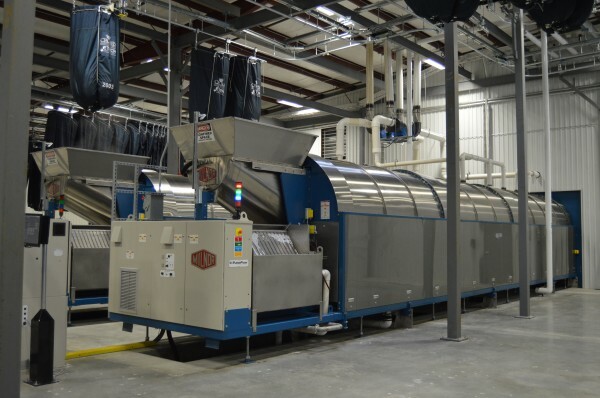 Another significant innovation utilized in this facility’s Milnor dryers is GreenFlex™ (Automatic Energy Mode). This feature allows for dynamic modification of the air flow (air quantity and recirculation) to reduce fuel consumption at off-peak times. 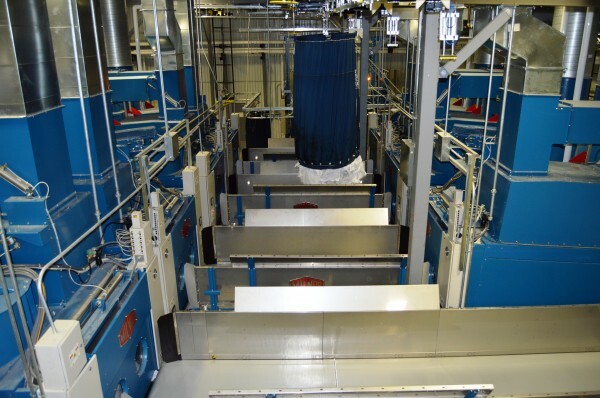 GreenFlex uses a more energy-efficient drying cycle for use on occasions when the laundry can operate with longer drying cycles but when the MultiTrac system identifies that a queue of work could build-up, it will automatically switch off the GreenFlex mode. 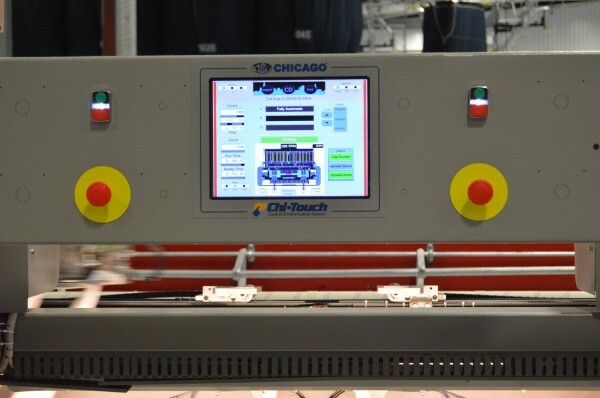 This auto-pilot feature reduces energy consumption without compromising workflow or dry quality. The laundry is equipped with touchscreen controls throughout. All batches are tracked as they progress thru the laundry and all data is saved. 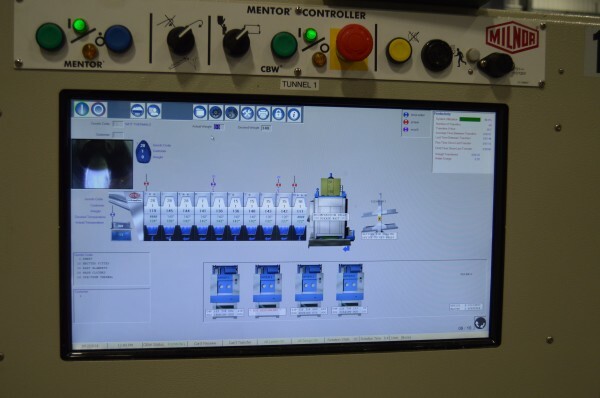 The Mentor® CBW Controls have embedded video of the load chute for its respective CBW while the Multitrac™ System Control has camera feeds to all photo-eye sensors on the discharge conveyors. 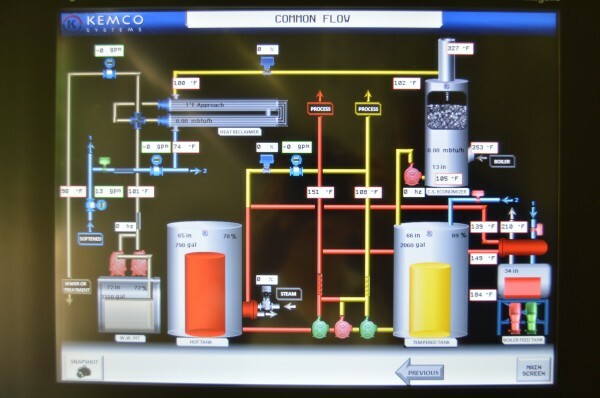 All batches are completely traceable, viewable, and recorded throughout the entire laundry with Milmetrix® Dashboard. The boiler room is equipped with a KEMCO Heat Exchanger, Boiler Stack Economizer and Condensate Return Vent Condenser. The system is designed to capture heat (energy) from the pit water, condensate return and boiler stack and use this energy to produce tempered and hot water for the facilities conventional washers and PBW™ tunnels. Labor is the highest cost in most laundry operations. 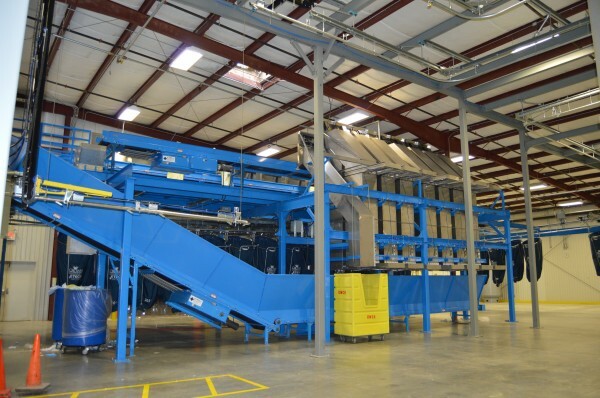 Crown and Pellerin designed this laundry with complete automation from the E-Tech sorting system, to the delivery of goods to the Milnor CBW’s and dryers, to the delivery of goods to the Chicago Sheet Separators, Feeders and Folders. Most of the linen processed through this facility is only touched by the operators three times throughout the entire process. 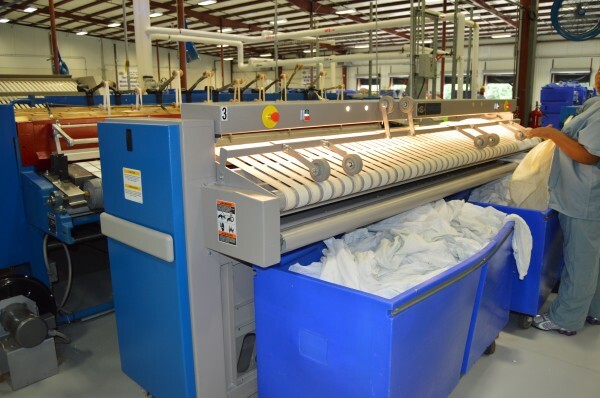 The Columbia, MS laundry currently operates in one shift and delivers clean linen to its customers 6 days a week. 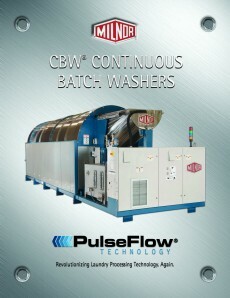 “Our goal is to offer a consultative, proficient approach throughout the design-build process,” says Scott McClure, Vice-President of Sales for Pellerin Laundry Machinery Sales Company, Inc. “We have a long-lasting relationship with Crown because of our mutual understanding of the importance of customer service and support”, adds Scott McClure. Crown Health Care Laundry Services has remained a top quality linen and service provider throughout Florida, Georgia, Alabama, Mississippi, Louisiana and South Carolina for more than 50 years. 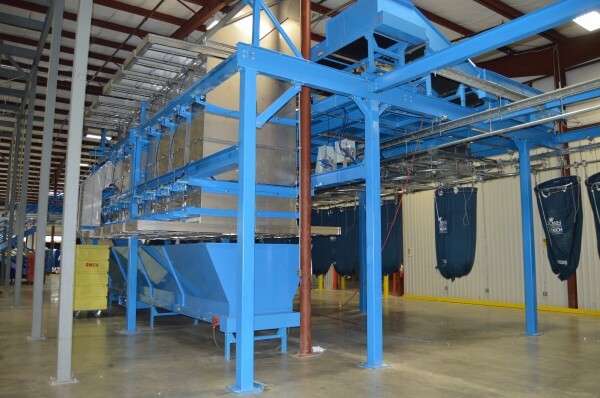 With the addition of the Columbia, MS laundry, the company has better aligned itself to offer laundry services to customers in Mississippi and Louisiana.